Bob “The Teacher” Jenkins has served as a business coach and online marketing trainer for thousands of coaches, entrepreneurs, and business leaders around the world. He loves helping coaches impact more people with less effort through leveraged online marketing strategies. He’s the author of Take Action! Revise Later, 21 Ways To Grow Your Coaching Business, and over a dozen online training courses. He also co-facilitates Hotseat Holiday Business Growth Retreats with Therese Sparby. For ten years, Bob taught U.S. History to freshman and World Religions to seniors at a public high school in Maryland. That sparked his online nickname, Bob The Teacher, which is much better known than his real name. John Lynn, @techguy on Twitter, is an avid blogger and online entrepreneur who runs 25 highly trafficked blogs across 3 niches: Healthcare IT, Reality TV, and Vegas Startup companies. He has a broad range of IT skills and the ability to bridge the gap between technical and non-technical groups due to his strong experience in healthcare IT (specifically electronic medical record), social media, and SEO. He recently acquired a Healthcare IT Career company to compliment the existing Healthcare IT blogs. He has a range of skills in marketing, blogging and SEO along with a strong ability to create compelling content quickly. He teaches others how to do what he does at Slow and Steady Blogging. Lori Ruff is known as the LinkedIn Diva. 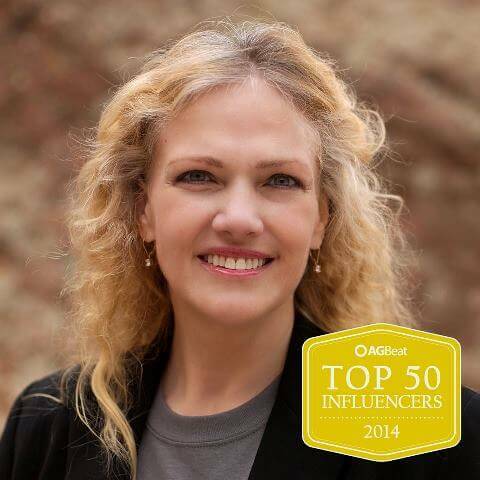 She’s a trainer, speaker, author and CEO of Integrated Alliances Social Media. One of the most connected women on LinkedIn, she specializes in B2B sales and marketing and credits passion, persistence, and courage for her success. She has been ranked as an AGBeat Top 50 Industry Influencer of 2014, Forbes Top 10 Women Social Media Power Influencer of 2013, Top 23 Social Media Power Influencer of 2012, and Moody’s Top 50 Favorite People of 2012. She’s the author of the upcoming “Keep It Real: Living Life Fearlessly” and co-host of “RockTheWorld with LinkedIn” radio. She offers free training information at RockLinkedIn.com. Greg Arnold is an empowering speaker, trainer, mentor and success coach. His unique leadership style is based on his years of business building and highly successful experiences. He has been involved in the home-based business industry for 40 years. During that time he has built successful businesses in the financial industry and network marketing, and teaches others how to effectively build online subscriber lists. Greg has built teams of several thousand distributors, starting from scratch, with three different companies. He also has 5 years experience as a successful Network Marketing company CEO and he is the author of the wildly entertaining book; The Multi-Level Mangler In King Arthur’s Court which was in Amazon’s top 1% of best sellers for over three years. With a background as a winning high school football coach, Greg is able to help people bring our their inner champions — including the drive to move forward regardless of what stumbling blocks stand in the way. Greg can show you how to perform at your absolute best, no matter what else is going on around you.